Communication tools and roadmaps can be found at vital talk.org. As with any medical procedure, giving serious news requires a coherent strategy in order for it to be accomplished successfully. In this case, the strategy encompasses a series of distinct communication steps, Ask-Tell-Ask. When you are giving serious news to patients and families, it’s important to recognize and respond to emotion empathically. This can be done non-verbally (eye-contact, leaning in) and verbally using the NURSE mnemonic. This talking map gives you a just-in-time route through a complex conversation. 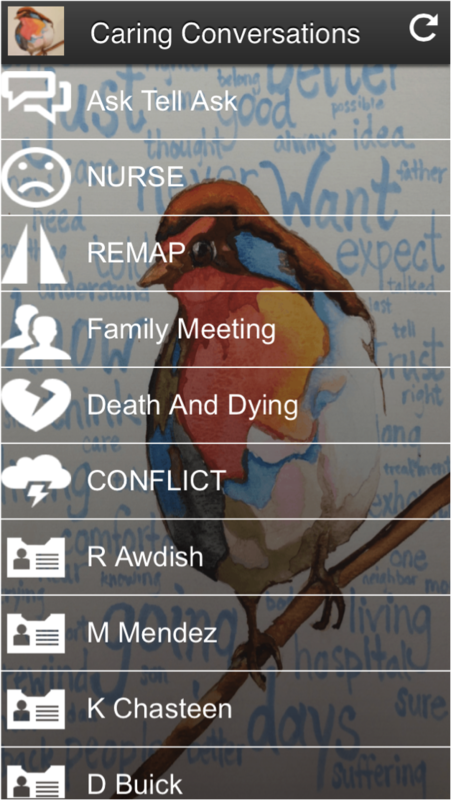 The Caring Conversations App can provide you with a bedside refresher on communication tools and conversation roadmaps that will help you navigate your family meeting. There are also links to video demonstrations of meetings with our simulated actors. The App can found on Googleplay for Android phones or iTunes for the iPhone. July 14-16. 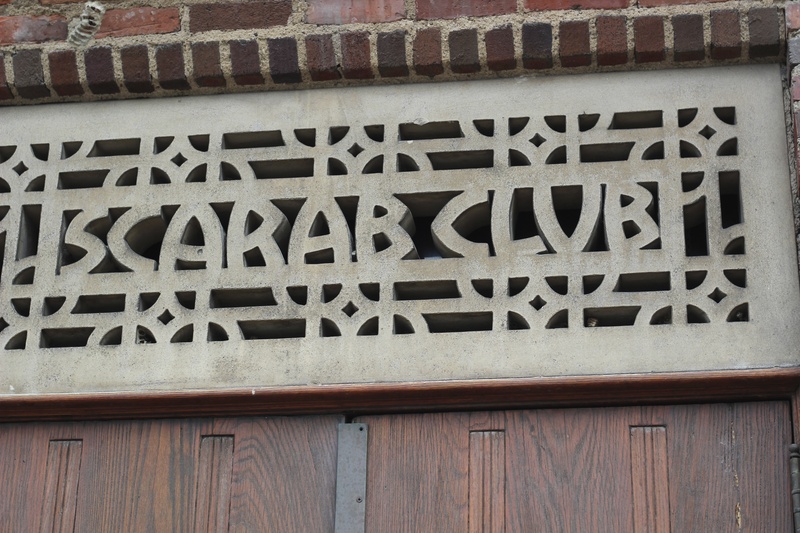 The incoming pulmonary and critical care fellowship class spent three days immersed in communications training at the Scarab Club. You can see examples of the skills that they practiced here in a video demonstration of a simulated family meeting.